More event information is coming soon. Join us for tons of events focused on anime, Japanese culture, music, video games, and more. Click here to submit a panel you want to run! Submit your own panel or event to talk about your favorite video game, anime show, music, or element of Japanese culture. We are proud to host dozens of awesome panels and panelists. Every night we will have an epic anime dance with really cool sound and more. We believe socializing is the best part of any convention, and waltzing with strangers and friends is one of the best ways to socialize. Come dance to slower, classical music, some of which you might recognize. Join us for our anime screening room, where we’ll be playing some really cool anime titles from our sponsors. 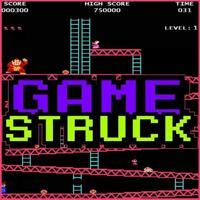 Join our video gaming rooms to play video games and make new friends via competitions. Our guests will be offering free autographs to our attendees, so come get something signed by the voice actor you love most. There’s usually a limit of 1-2 items per person, and bootleg items won’t be signed. We’re hoping to be able to offer even more – like Karaoke, Arcade Gaming, and beyond – if you know any people who can help us with this, send us a message and tell us who you think can help us and how to get ahold of them. We have video games available for congoers to play including PC games, console games, and more! We are raising money as part of our food bank drive. Donate 5 cans of food for an entry into our “Hunger Lottery,” and our guests will draw the winning names for prizes at our closing ceremonies. Help us fight hunger by supporting our food drive efforts. Collections are given to the Second Harvest Food Bank. Donate a pint of blood in our blood drive to get 2 entries into the “Hunger Lottery.” At the end of the event, at closing ceremonies, one of our guests will draw the winning names for prizes. We hope you will help contribute if you are able. 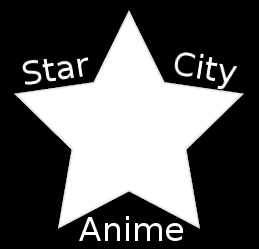 The WBO is proud to announce that we will be partnering with Star City Anime 2016 for the first time to host Beyblade: Star City Assault. This is event will feature the new Beyblade Burst format, and new Beyblade products imported straight from Japan will be for sale at the convention. After the main tournament, stick around for our Survivor-inspired series of side events to win a prize.